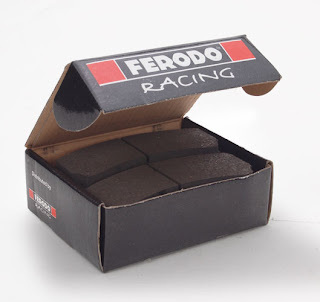 Ferodo (a division of Federal-Mogul) has been making high quality brake pads from road cars to professional racing series since 1897. Ferodo recommends the DS2500 compound for high-performance street driving and occasional track day use. The good cold friction properties of this pad help it to respond quickly and predictably right out of the box. The DS2500 provides good driver feedback due to less compressibility. While able to take a good amount of abuse from lighter cars with moderate horsepower, For example the GT-R’s power and weight (3,900 lbs.) will start to induce brake fade if pushed hard on the track (max. operating temperature = 950°F). 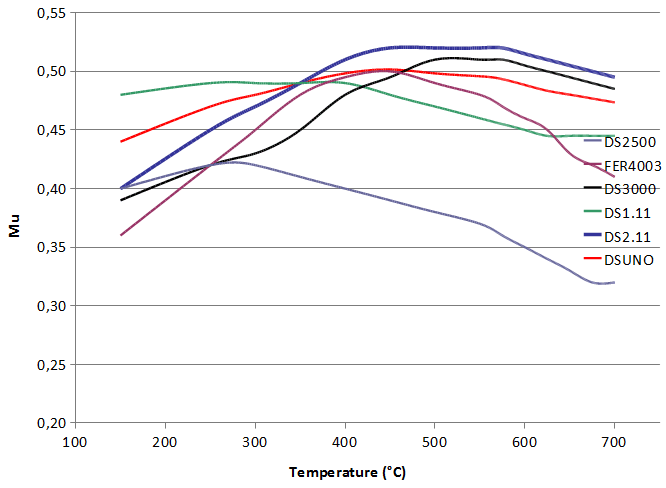 Ferodo’s DS1.11 Racing Compound is a new development based upon Siloxane Technology. 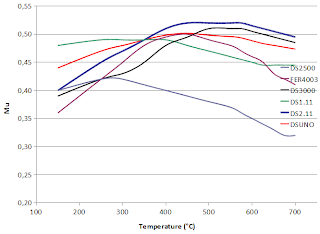 This compound offers a constant friction coefficient across a wide range of temperatures and speeds for better modulation and higher confidence in the braking zone. Developed for extreme conditions, it features lower disc wear and better pad life than many race pads. When getting serious at the track, STILLEN recommends the DS1.11 compound for fade-free performance. This compound is for RACING ONLY and is NOT suitable for the street. DS2.11 is the sister compound to DS1.11. It is based on the same siloxane technology and shares many of DS1.11's characteristics (unvarying performance, short pedal, excellent control) but has some additional features, notably it's extremely high bite and friction coefficient. Pad life is slightly lower than DS1.11. It is especially recommended for rally (WRC race proven), but is suitable for any other application where very high friction, bite and a rising torque profile are desired. DS2.11 is in the course of being substituted by DSUNO.